Our UTAD coordinators from Portugal have participated in the 39th EAIR Forum Porto 2017 – “Under pressure? Higher education institutions coping with multiple challenges”. The conference was hosted by the University of Porto, Porto, Portugal, from 3rd till 6th of September 2017. 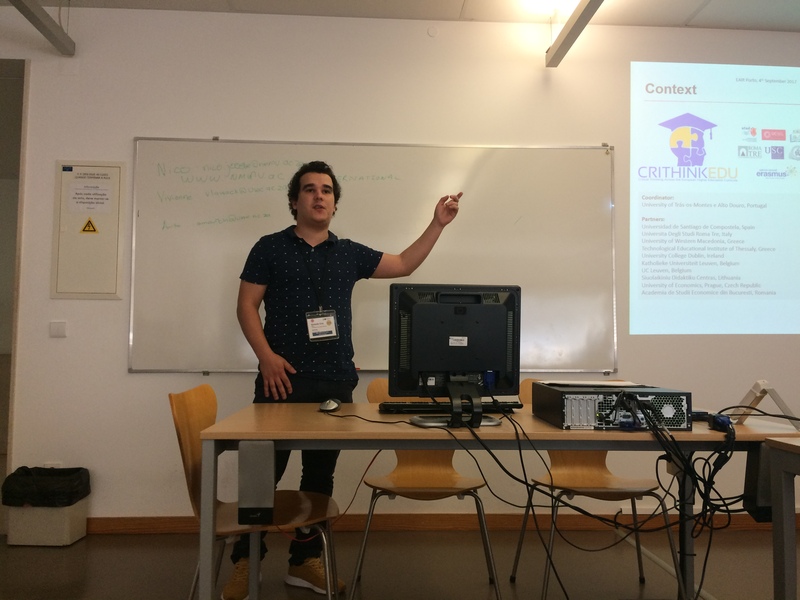 In the person of Gonçalo Cruz, our team presented a work entitled “CRITHINKEDU: from labor market needs to Critical Thinking across the European Higher Education Curricula“. You can see the full presentation at http://bit.ly/2y12zrO.